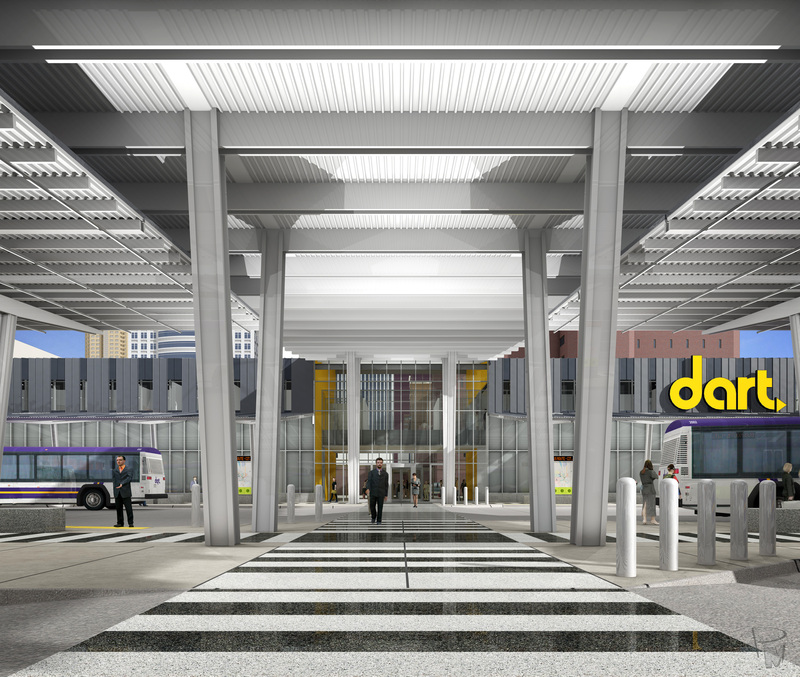 DART applied yesterday for a $10 million federal grant for the new Transit Hub. Construction of the Transit Hub south of Cherry Street is set to begin by late this year or early next, thanks to the $10.5 million in state and federal dollars already committed to the project. DART could complete the project by 2012 if its application for a $10 million federal grant is successful. Grant recipients will be announced no sooner than Sept. 15, according to the U.S. Department of Transportation. As of today, the Transit Hub will be built in phases. Phase I includes the building with waiting areas, public restrooms, customer service desk, bicycle storage, vendor space for a coffee shop of cafe, and administrative offices. Phase II will include four bus lanes, 15 bus bays, covered walkways, a canopy with solar panels, signs with real-time bus arrival and departure times, and public art. This entry was posted in DART news, Transit Hub by DART. Bookmark the permalink.